Article on Page 6 in the July edition of Lifetimes - South West edition. Dermot Looney, Labour’s local area representative in Dublin 12 and a candidate in next year’s local elections, has slammed proposals to redevelop the Ashleaf Shopping Centre at Crumlin Cross. An application made to increase retail space in the centre, along with providing 40 residential units and 80 ‘apart-hotel’ spaces, is currently in front of South Dublin County Planners. Local-based Looney has joined with Labour representatives Councillor Eamonn Walsh and Mary Upton TD in opposing the proposed 5-storey development, which would put massive strain on local public utilities, traffic and parking in an area already under considerable strain. As well as noting concerns with an level of development and height unsuitable for the area, and an inappropriate mix of residential units, Looney has also criticised the developers for citing sick children as part of the rationale for the project. 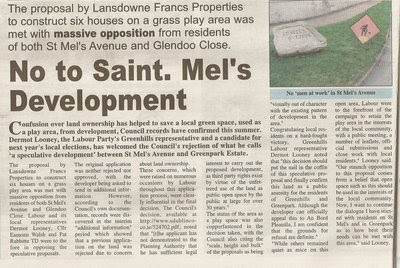 “I am glad to join with local residents in standing firmly against these proposals and am confident that the planners will take on board our concerns as to the height of the new centre, traffic, parking, utilities, the environment and the family-unfriendly mix of residential units in rejecting these proposals outright,” Looney said. The Labour Party have confirmed 25 year-old Dermot Looney, a Greenhills-based community campaigner, as a candidate for the new Tallaght Central Ward in next year’s local elections. Looney had previously been selected for the old Terenure-Rathfarnham Ward as a replacement for retiring Councillor Eamonn Walsh (pictured with Looney, left). 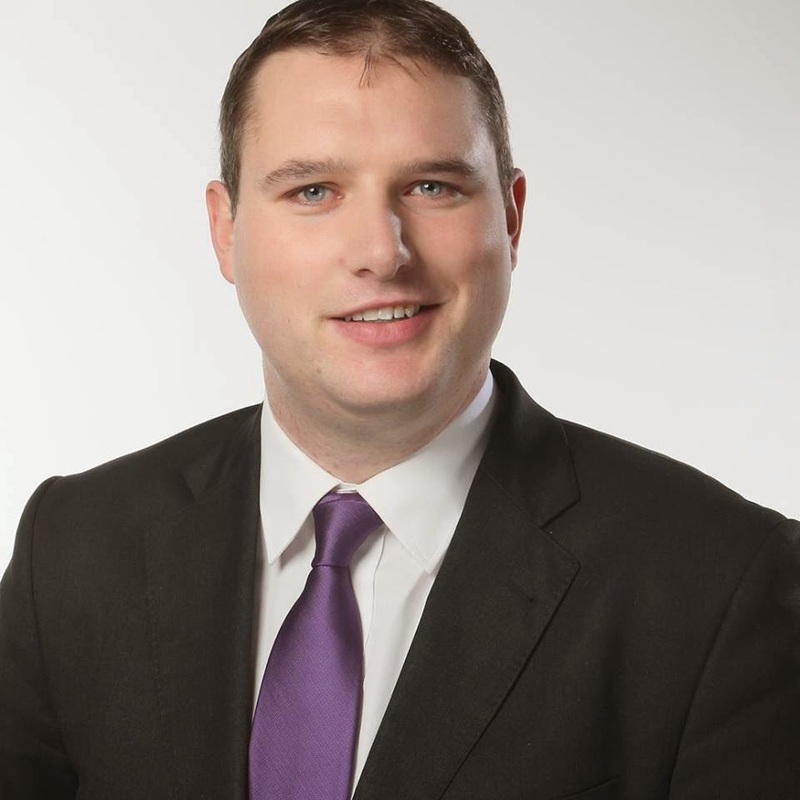 Following the extensive boundary revisions for South Dublin County Council in June, Looney has now been chosen for the Tallaght Central Ward, which extends from Templeogue in the east through Greenhills, Kilnamanagh, Tallaght Village, Kingswood, Belgard, Springfield and Fettercairn. Looney’s running mates have been confirmed as Templeogue-based Pamela Kearns and Tymon-based Mick Duff. The Labour Youth activist, who has a long record of involvement in local development and public services campaigns, is the youngest Labour candidate in Ireland and hit the headlines last month with his call to lower the voting age for local and European elections from 18 to 16. He is also making waves online, where his campaign website, blog and activism on social networking sites such as bebo and Facebook are opening up new channels of communication with voters. “Plenty of local candidates have complained about the boundary changes but it is my belief that politics, not geography, should form the basis of the campaign over the next 10 months. I stand above all for the expansion of public services, for an expansion of local democracy and for community-led solutions to development issues - and I want those who share those values to join up with our campaign for change,” Looney said. I wanted to share with you all this magical local film from Youtube. "The film is set in a working class suburb of Dublin. Roy, Ireland's only animated character was born into an ordinary 'live action' family. This fly on the wall documentary film allows exclusive access into Roy's life where we learn of the prejudices he must overcome on a daily basis."